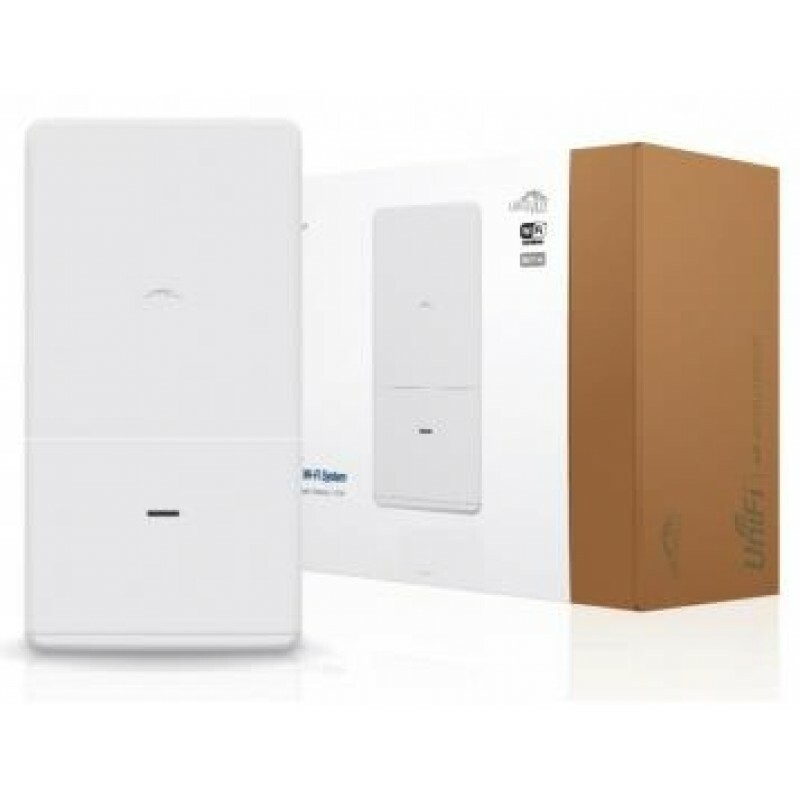 UniFi UAP AC Outdoor 2.4Ghz/5Ghz APUniFi UAP AC Outdoor 2.4Ghz/5Ghz AP UNIFI UAP AC OUTDOOR 2.4GHZ/5GHZ AP Ubiquiti’s fastest outdoor WiFi access point supports 802.11ac and speeds of up to 1300 Mbps Manufacturer: Ubiquiti Manufacturer Part Code: Product Code: UBI-UAP-AC-OUTDOOR-2.4/5 More Info: External Link £360.00 (£432.00 inc VAT) Currency Convertor - Euro Currency Convertor - USD Qty: 1 Add to BasketBe the first to review this product Bookmark and Share Description Ubiquiti's fastest outdoor WiFi access point supports 802.11ac and speeds of up to 1300 Mbps in the 5 GHz radio band and up to 450 Mbps in the 2.4 GHz radio band. The UAP-AC Outdoor offers simultaneous dual-band operation with 3x3 MIMO technology for each band. It has a range of up to 183 m (600 ft) and two Gigabit Ethernet ports. Scalable and Unified Enterprise WiFi Management The UniFi Enterprise WiFi System is a scalable enterprise access point solution designed to be easily deployed and managed. The UniFi Enterprise WiFi System includes the UniFi Controller software which can be easily accessed through any standard web browser. The software installs on any Windows, Mac, or Linux PC and can be run on-premise, in your private cloud or in a public cloud service. Using the UniFi Controller software, an Enterprise WiFi network can be quickly configured and administered without any special training. Real-time status, automatic UAP device detection, map loading, guest/hot-spot management, mobile roaming and advanced security options are all seamlessly integrated. The UniFi controller software is included with each access point. There are no additional software license or subscription costs required to use the UniFi controller."